Charles Baudelaire, Paris' celebrated C19th 'gothic' poet and visionary, translator of Edgar Allan P.. The frozen and metalised spine of a monstrous, vanquished predator.Essential metalwear for a soulful..
A druid's amulet; a traditional Celtic, hand plaited, black leather wristband with pewter pentagram ..
Bracelet with two overlapping laps of black braided leather. 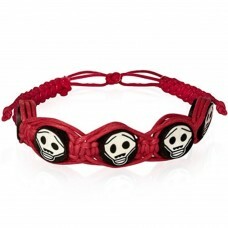 At regular distances 3 small steel skul..
Macramé cord bracelet with inserted cute white skulls on a black background. 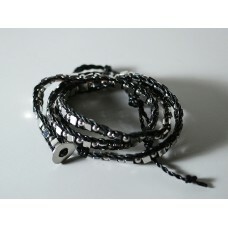 It can be widened ..
Multi-lap bracelet in cord and steel. 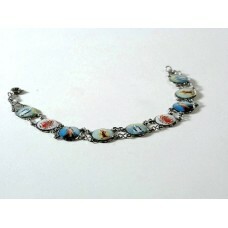 The steel elements are made up of small balls alternating with..
Bracelet with small opposing skulls, in silver color, held by a purple cord. 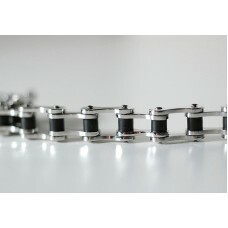 The bracelet widens and..
Bracelet in very polished steel with different links, Cuban chain. 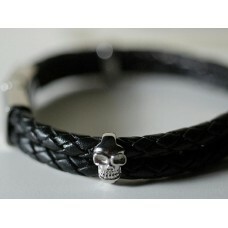 Closure with small carabiner, alw..
Mirror steel bracelet, completely articulated. It is built like the transmission chain of a motorcyc..